A quick Saturday afternoon build. 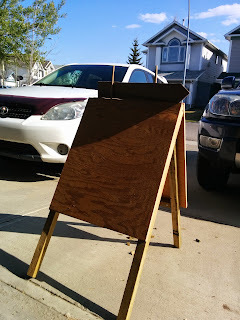 My wife needed a sign-board so she can advertise her loose-leaf tea truck, the Tea Wagon when she is out on the road. It is surprising how poorly some event organizers signpost their event so this way we can be sure people know where the Tea is at! 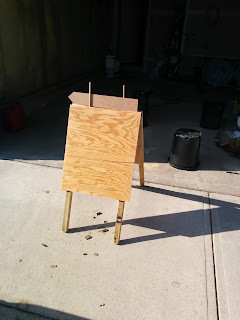 The construction is from 3/4" plywood and pressure treated 1x1s but that is only because I already had these materials. The hinge is actually the best part. 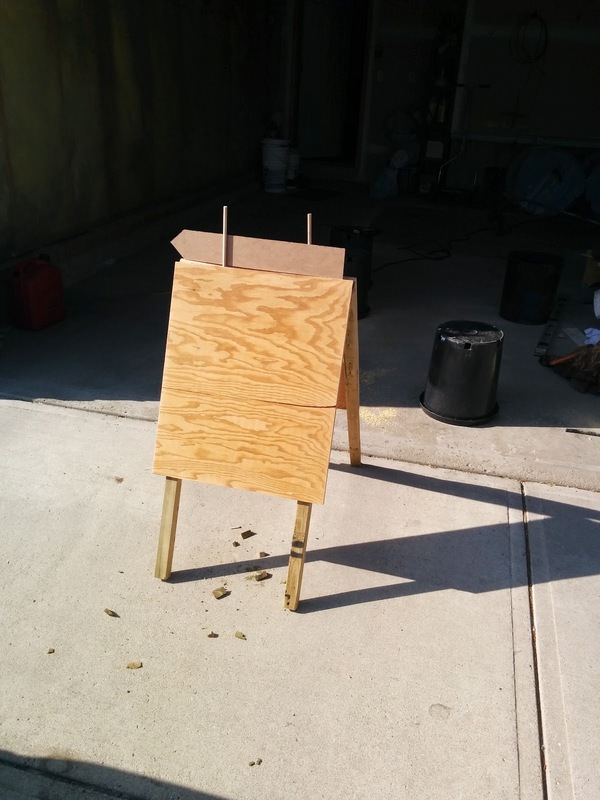 I made it from some 1/2" dowel and a 1/2" forstner or spade bit. I didn't really think it would work so I was a little surprised. The arrow will be fitted to the dowels sticking up which rest within two angled holes so that the arrow can be flipped around depending on the location of the truck and the road. It's going to be painted to match the Tea Wagon colours and someone with a steadier hand than me will do some sign writing. Luxuriously spacious display area 20"x24"